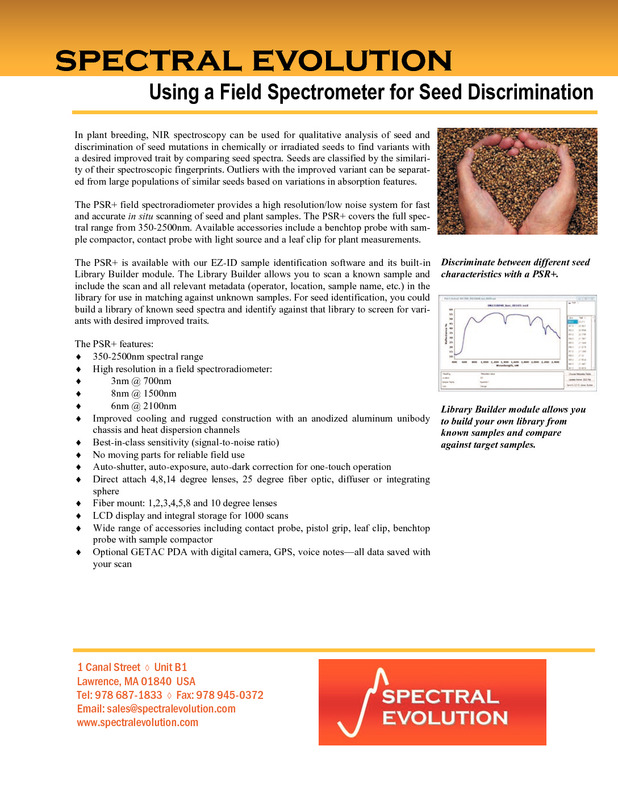 Using a field spectroradiometer such as the Spectral Evolution PSR+ or the RS-3500, a researcher can perform qualitative analysis for seed discrimination from large batches of seeds quickly and accurately. By comparing seed spectra according to absorption features, a researcher engaged in plant breeding can find variants with a desired improved trait from among chemically treated or irradiated seeds. 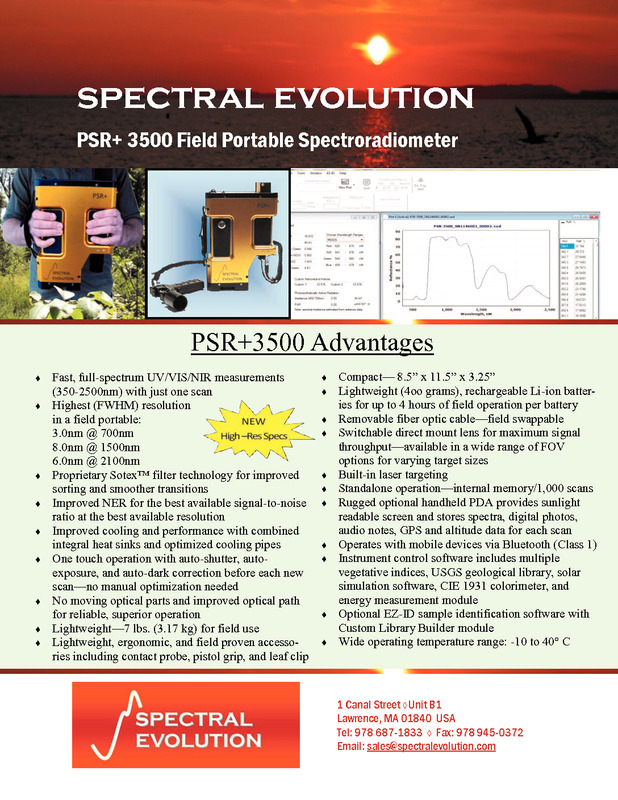 The PSR+ and RS-3500 are both portable full range, UV-VIS-NIR instruments designed for field use that provide high resolution/low noise scans. The PSR+ and RS-3500 cover the full spectral range from 350-2500nm. Available accessories include a benchtop probe with sample compactor, a contact probe with light source and a leaf clip for plant measurements. The PSR+ is available with EZ-ID sample identification software and includes a Library Builder module so you can build your own specific seed library to compare samples against. The Library Builder allows you to scan a known sample and include the scan and all relevant metadata (operator, location sample name, etc.) in the library for use in matching against unknown samples. For seed identification, you could build a library of known seed spectra and identify against that library to screen for variants with desired improved traits. EZ-ID with Library Builder allows you to build your own library from known samples for comparison against unknown target samples. 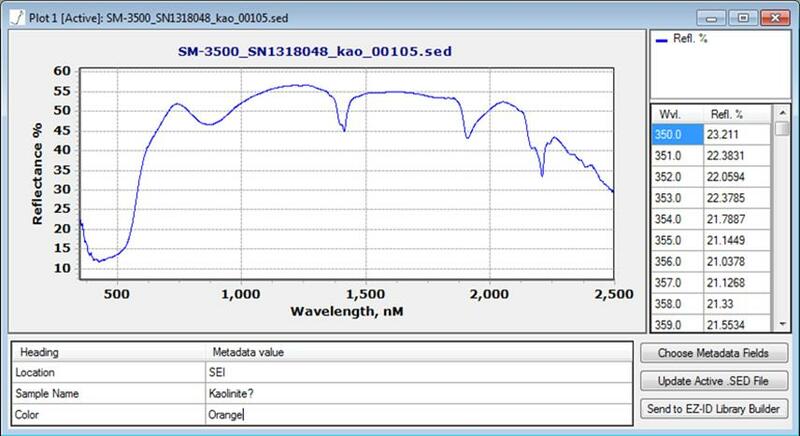 Discover the unique advantages the PSR+ 3500 can deliver that other spectroradiometers only promise. Download our flyer.